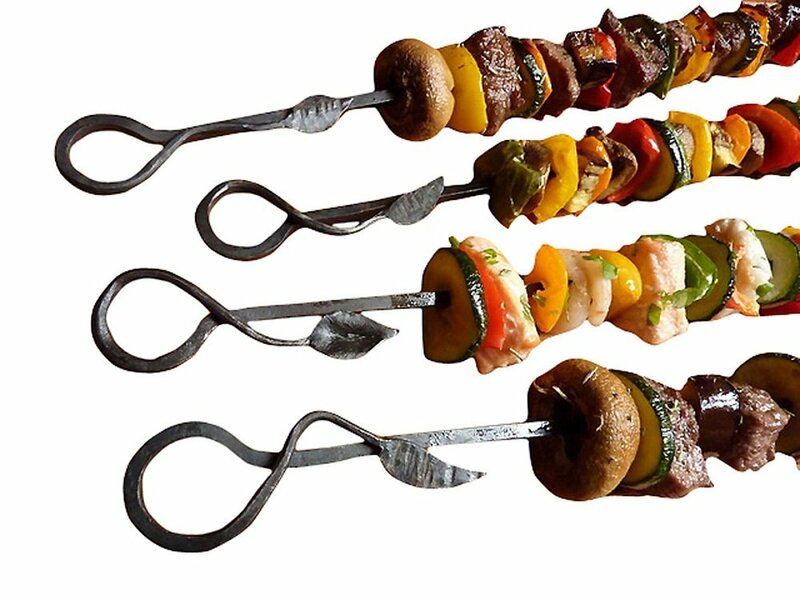 Set of four hand forged leaf design Skewers with slotted Rack that enables even cooking on four sides. Set of eight hand forged leaf design Skewers and Rack. These stylish hand forged skewers have an attractive leaf design at one end and a sharp point at the other to easily skewer meat and vegetables. They fit neatly in to eight grooves on the rack that hold the skewers in position allowing you to cook evenly on four sides. However, they can’t prevent you from forgetting to turn them!